Tallahassee is known for having an artistic flare to it and, with this, many great places for live music. All of these venues offer a lower-key vibe in terms of the nightlife but are still a fun time and fill Florida's state capital with sweet tunes. Located directly in Midtown Tallahassee, Fifth and Thomas provides a cozy environment for live music. Following the live music performances, FIfth and Thomas brings in a DJ to get the party going into the later hours. Closed Sunday through Thursday, Fifth and Thomas is definitely packed Friday and Saturday nights from 5 p.m. on Friday and 7 p.m. on Saturday until 2 a.m.. Fifth and Thomas even offers food, making it the perfect first stop on date night or even the end of your night out "drunky-munchy" solution. Club Downunder is a student-run live music venue in Tallahassee where newly-discovered artists or "underground" talents make their debut. Because it's an on-campus venue, the beer selection won't break the bank! Club Downunder is located right next to a Chili's, making it the perfect place to stop in after a date night or for a late night bite in between sets. The on-campus location can make it difficult to find, so be sure to arrive early for a good spot on the dance floor! The Bradfordville Blues Club is celebrating its 17th anniversary, and it's no surprise: no one has the blues after they leave here! Your night out will kick off to a fantastic start before you even enter the Bradford Blues Club as you go through a rural part of Tallahassee traveling down dirt roads and hills. One thing that differs from the other live music venues on the list is that you need to buy tickets at the door for the performances, and prices vary depending on the performers. Closed Monday through Thursday, the BBC is open from 8:30 p.m. to 12 a.m. Friday and Saturday and from 5:30-9 p.m. on Sunday. Tallahassee's only true multi-genre listening room and fully-equipped concert stage, the Junction at Monroe brings new life to the 83-year-old location! 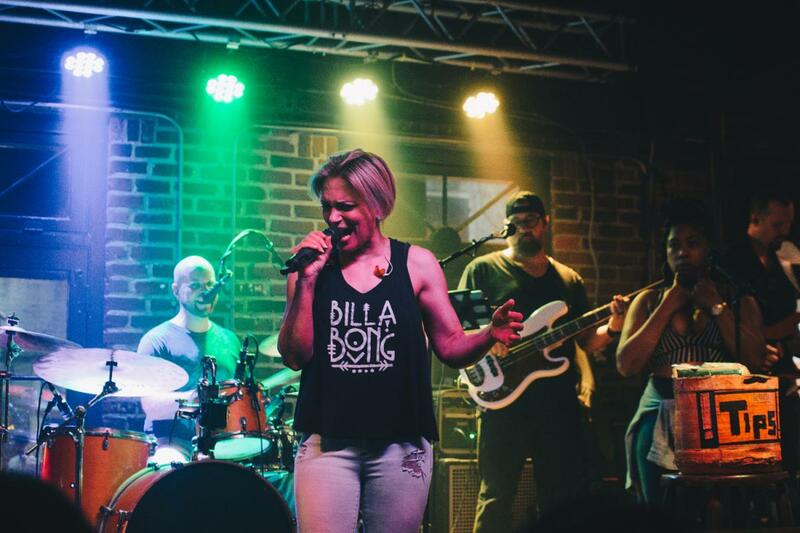 The Junction at Monroe is the perfect live music bar for weeknight performance-goers with opening hours Tuesday through Saturday from 6 p.m. to midnight. The Junction at Monroe serves up a full food menu from Sloppy Joes to cheesecake as well as a wide selection of beer, wine, and liquor. Check out The Junction at Monroe on Tuesdays for $2 Tuesdays: $2 taocs, $2 sloppy joes, $2 well drinks, and $2 draft beers! The only rooftop bar on the list, Level 8 Lounge in Tallahassee serves up a glamorous ambiance with excellent live music and reasonably-priced drinks. Level 8 Lounge is open every day from 4 p.m. until midnight with the exception of Friday and Saturday night as it's open until 1 a.m. Many guests flock to Level 8 to get a prime sunset viewing spot while Jazz music plays in the background. From Shrimp and Grits to firey shots, Level 8 Lounge serves up intricate dishes as well as spectacular live performers. The best part about live music venues in Tallahassee is that they're more casual. so there's no dress-code and, even better, there's no cover charge unlike most other bars in the area. For more nightlife in Tallahassee, register on 850area to stay up-to-date on everything the Tallahassee and Panama City area have to offer.